WHEN Jack Lambere Kalangis was born on June 8, 2016, the large lump on his face immediately caused heartbreak and concern for his mother, Boufa Joses. But living on the remote island of Akamp - a part of Vanuatu too small to register as a dot on most maps - nobody had any idea just how much danger he was in. "I was worried. 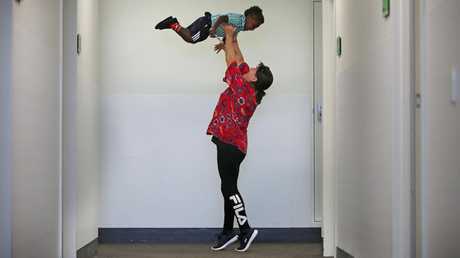 I worried because I sometimes I was scared to carry him in public because of what people would think, and because he could get hurt," Ms Joses said. Despite her attempts to shield him, a couple of holiday-makers from central Victoria saw Jack and felt compelled to act. Returning home, they asked a nurse friend how they could help the small boy, who in turn sought advice from a local doctor. The doctor then contacted Children First Foundation. 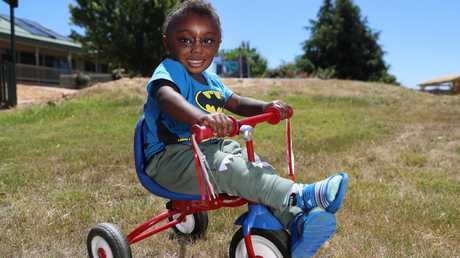 The charity sent photos of Jack's face to one of the world's leading craniofacial surgery teams at the Royal Children's Hospital and "Team Jack" was born. "How fortunate for Jack and his family that those people were there at the time and had the fortitude to seek support for him," CFF chief executive Elizabeth Lodge said. 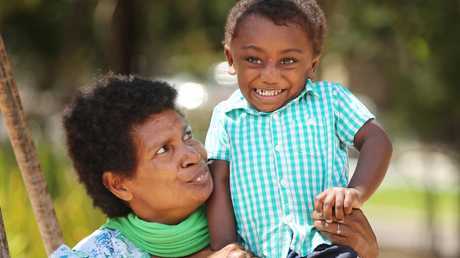 But even as CFF volunteer Sally Peet sat on a plane in Port Vila on June 20 last year, waiting to fly Jack to Melbourne, things became unexpectedly complicated. A medical visa required for Jack to enter Australia had not been processed into the Air Vanuatu system, so the he was not allowed to board the flight. Aware it was probably the little boy's only chance to be saved, the pilot refused to take off, stranding his frustrated passengers on the tarmac until the bureaucratic bungle was ironed out. "It went all the way to the (Australian) Prime Minister's office in order to expedite that … we pulled every string, every connection we had," Ms Lodge said. 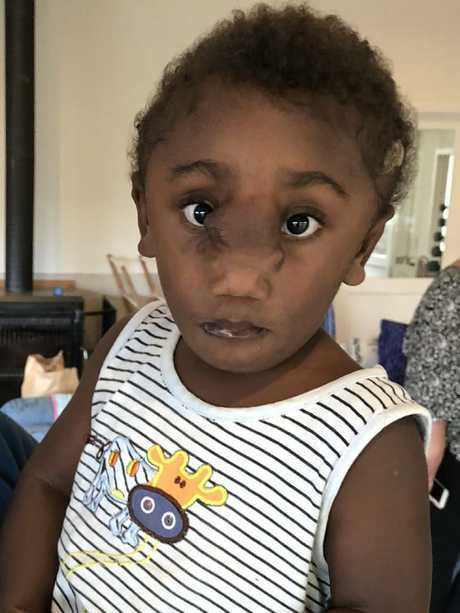 Most people saw the lump on Jack's face as a cosmetic problem, but when veteran craniofacial surgeon Tony Holmes was handed a photo in early 2018, he knew exactly what it was: "a death sentence". "We could easily diagnose what the problem was from the photograph, but we had no idea what was going on inside," he said. Dr Holmes has literally written the book on how to treat Jack's condition, known as a frontal ethmoidal encephalocele - or, as he describes it, "a permeation of intracranial contents beyond the cranial cavity". In plain English, it means Jack's brain was leaking out the front of his head through a hole where the bones of his face are supposed to fuse together at the top of his nose. The lumps on Jack's face were actually "chunks of his brain" covered only by a thin layer of skin - cosmetic concerns quickly became irrelevant. 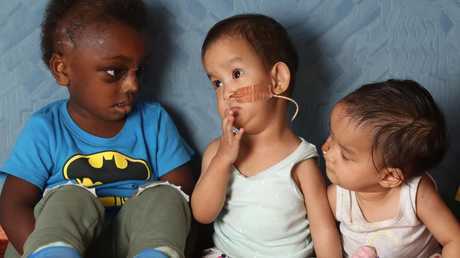 Jack Kalangis with formerly conjoined Bhutanese twins Dawa and Nima at Children First Foundation’s Kilmore retreat. Picture: Alex Coppel. Any bump could be fatal and there was no telling what damage had already occurred in his brain. Jack may have been in serious need of help, but Dr Holmes and his colleagues had handled many previous cases and were confident of saving him with little fuss. But when Jack finally made his dramatic arrival in Melbourne, everything changed. As unbelievable as it seemed, the brain extending out the front of Jack's head was only the tip of the iceberg. Scans revealed Jack had a second condition which caused the two-year-old's skull to form incorrectly at the back. Three-dimensional images confirmed his tiny skull was nowhere near big enough for his brain to fit inside. Jack was the first case of his type in the world - nobody had dealt with these issues at the same time. 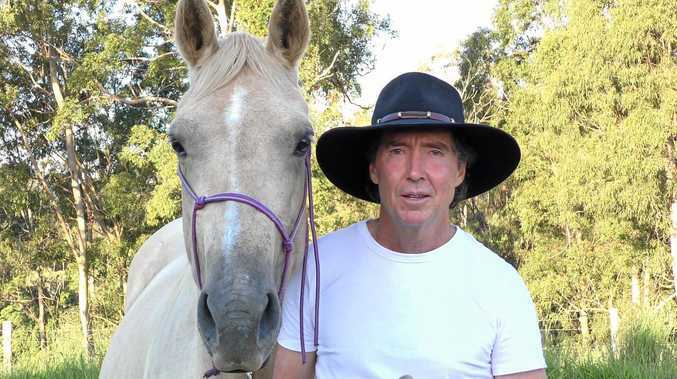 "It was unusual, really unusual … there was something different going on," Dr Holmes said. "On top of that the skull didn't grow properly. Not only did he have a hole, his head was small and tight." The craniofacial team had to call in neurosurgeon Alison Wray. "The brain has developed in a slightly different way, the formation of it is different," Dr Wray said. "That is something that we can't change. But, it was also being compromised because there wasn't enough room for it to be growing." 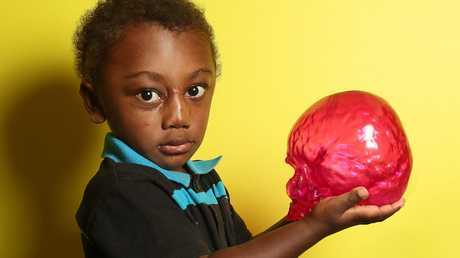 Three-dimensional scans were used to make perfect replicas of Jack's imperfect skull, which RCH head of craniofacial surgery Dr Jonathan Burge took home so he could devote his spare time to cutting up and reassembling it, planning and perfecting the operation. 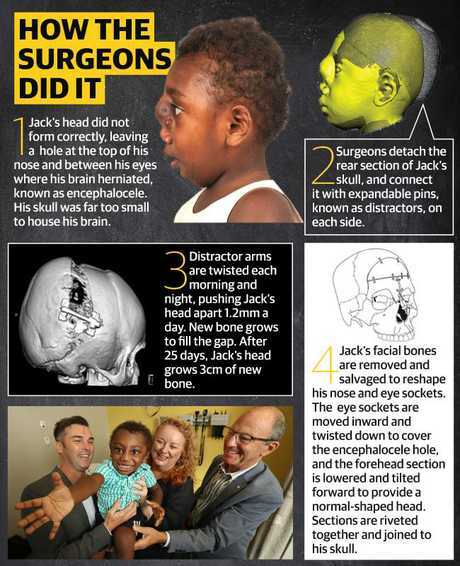 The goal was to find a way of dividing the bones in Jack's head and reassembling them so they not only covered the hole above his nose, but also gave him the face his foetal development denied him. "A lot of craniofacial, the fun is in the planning," Dr Burge said. "I think you make poor decisions when you feel rushed. It was nice not to feel pushed into a corner." Despite the unexpected complication of Dr Burge's young daughter misplacing parts of Jack's "skull", the plan was formed so Dr Wray could lead the first stage of their blueprint. "He is the architect and I am the carpenter," Dr Wray joked. "The problem was that it went from being one operation into two very big operations." On August 7, 2018, Dr Wray and Dr Burge undertook the first major procedure to expand Jack's skull, known as a posterior cranial vault expansion. 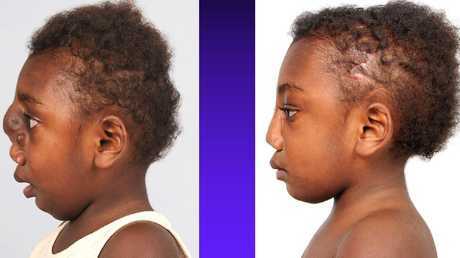 Put simply, the pair cut away the entire back section of the toddler's head and reattached it using expandable metal pins on each side underneath his skin. Known as distracters, each of the pins had an arm sticking out through the skin like antenna on the sides of Jack's head, which doctors would twist every morning and night. Each time they twisted the arms the pins would stretch 0.6mm - effectively tearing the join in Jack's skull so new bone would grow to cover the gap in the hours before it was again stretched apart. Growing by 1.2mm a day, it took a tense 25 days to grow the 3cm needed for Jack's head to be large enough to hold his brain. "It looks good. He does still have a malformation of the brain but … he doesn't seem to be having any problems … so that is really encouraging," Dr Wray said. On Tuesday November 27, it was Dr Holmes and Dr Burge's turn to team up in the operating theatre, this time to remove his encephalocele and rebuild his face. "This is the first time we have ever had to do this … it has worked a dream," Dr Holmes said. From his cheeks up, the top section of Jack's troubled face was cut away and separated into different sections; two eye pieces, a forehead piece, and a nose. The pieces housing the holes for Jack's eyes were then tilted inward towards where his nose would go, so that they not only gave him a normal shape, but were closer together so they covered the hole where his brain had leaked out. 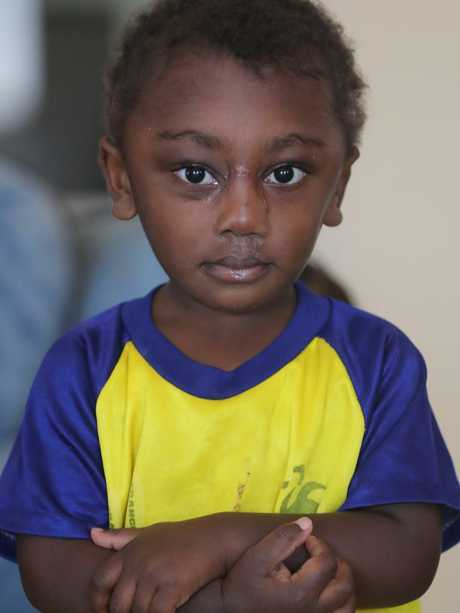 While little of Jack's own nose could be used, bone grafts were shaped and attached to give him a new one. Finally, Jack's forehead was put back in place, though this time it was tilted forward to fit in with his newly enlarged skull and have the same as everyone else. "It has all gone exactly to plan," Dr Holmes said. If there was a problem inside Jack's head, it certainly did not show on the outside. 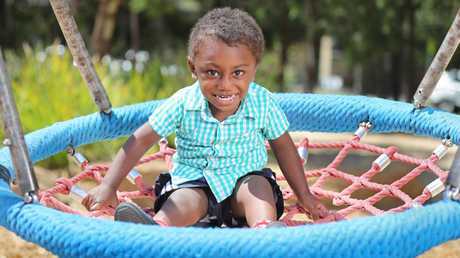 At Children First Foundation's Kilmore farm Jack is a whirlwind of energy, running rings around his carers, the other children undergoing their own surgery and builders undertaking renovations. 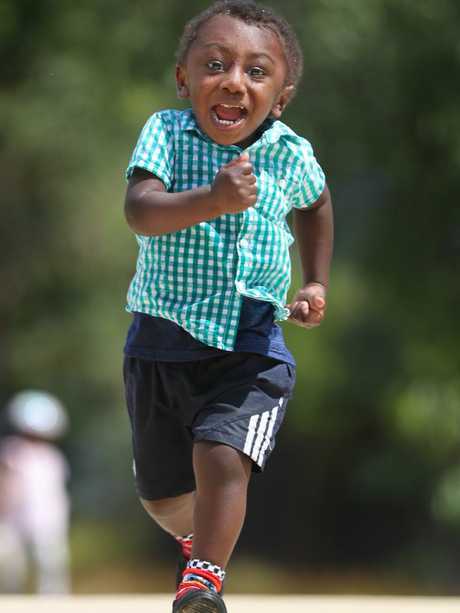 The cheekiness of the two-year-old knows almost no bounds as he fist-pumps visitors and joins in everything he can. But it is only on February 1 when he returns to the RCH for an examination that Boufa finds out how successful the final surgery has been, and what Jack's long-term future will be. "This skull is now quite strong. It is whether it keeps growing normally, but we are not going to know that for a few years," Dr Holmes said. While Jack's head is given the all-clear, the future for his face is more complicated. "When he is older, like 11 or 12, his nose won't look as good because the rest of him is an adult and he may need a bit more nose," he said. "If he comes back we can put a bit more nose in. "Also, there is a worry that his nose has more bone in it than other people's, so he could break it - so no boxing or other high-contact sports." In her understated manner, Boufa takes in all the information, before asking a series of questions including her first priority: "Will Jack be able to play soccer?" Dr Holme's answer is a qualified "yes", suggesting Jack try to become a goal-keeper because it would be too dangerous to head the ball. One by one Boufa's other concerns are handled, all with a positive response - Jack will be able to go on long walks; he will be able to play with friends; Jack will have a seemingly normal life. Jack will return to his island home next week able to make whatever he wants out of life, though his impact will always be felt by the surgeons who helped rebuild him. "Without sounding too cheesy, that is why you keep coming back to this job," Dr Burge said. Years before Jack was born, Melbourne doctors played a vital role in developing the surgeries that saved his life. Previous operations left patients with elongated faces and wide-set eyes. When carmakers began using 3D computer modelling to design parts in the 1980s, pioneering neurosurgeon Paul D'Urso wondered what would happen if the results of patient CT scans were fed into the same programs. Mr D'Urso (now at The Alfred) turned to Dr Holmes, who had a young encephalocele patient. 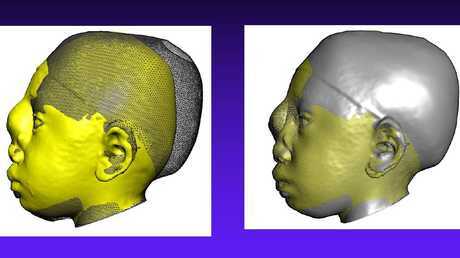 The collaboration produced a perfect model of the boy's head, as well as insights into the way his bones were constructed. By using the model as a type of jigsaw, Dr Homles found a way to move the boy's own bones around to close the hole and give him a proportioned face. "Bingo, it worked," Dr Holmes said. The technique needed to grow Jack a bigger head also owes much of its development to the RCH. It was developed by Russian surgeon Gavriil Abramovich Ilizarov in the 1950s, when he cut leg bones and placed pins that could be gradually screwed apart, tricking the body into growing new bone to fill the tiny gap. 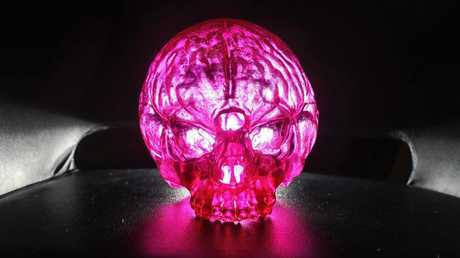 But it is only in recent years that the technique was adapted for faces and skulls, and the RCH has led the way. Efforts to save Jack were just as remarkable outside the operating theatre. 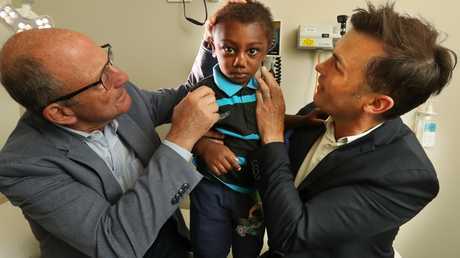 While the Royal Children's Hospital provided a humanitarian fee for Jack's treatment, cutting-edge surgery does not come cheap and Children First Foundation already had to raise a small fortune to pay for his facial surgery before learning he would also need a new skull. "The RCH came to us and said, 'We have got a little bit of a hiccup, Jack needs major neurosurgery before the craniofacial component. Can you find the extra money? '," Ms Lodge said. "The CFF boards said, 'Of course we can find the money, we have got this little boy here, we are going to help him live'." Philanthropist Jeanne Pratt jumped on board, throwing open the family's Raheen mansion and hosting a cocktail party for Melbourne's elite at which Dr Holmes told Jack's heartwarming story. 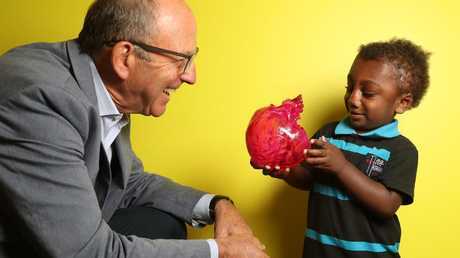 During the talk he implored the well-heeled to join "Team Jack", and they opened their hearts, as well as their wallets, to pay for his first surgery. Then, at the foundation's October 3 black tie ball, guests took part in a unique auction where they outbid each other for the right to pay for elements of Jack's second surgery, shelling out tens of thousands of dollars more. "Team Jack is now very broad - so many lives have been touched by Jack's story and they have contributed to his operations and his ongoing care," Ms Lodge said.